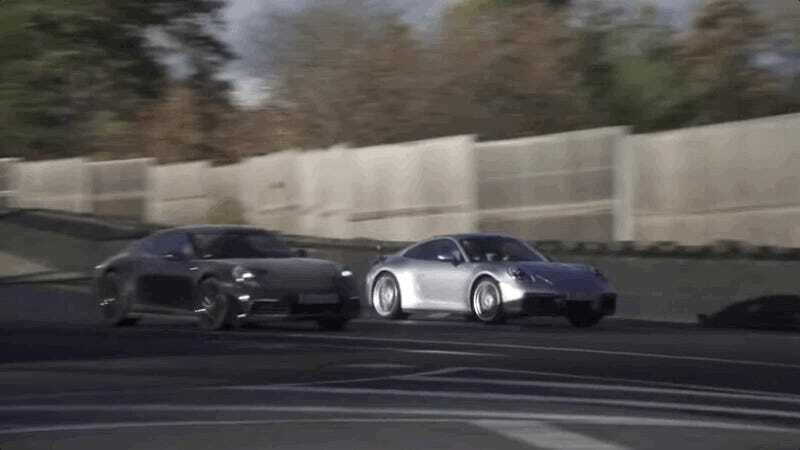 Either Porsche really dropped the ball on keeping the 992 911 wrapped up before it’s big reveal, or it just really doesn’t care because the entire build up of teasers for a car reveal is stupid and fruitless, especially with a car that looks a lot like the last one. But former-F1 racer Mark Webber, paid to do this by Porsche, got to play with the new 911 early. The video conveniently muted his driving impressions while actually in the car, but he did manage to get out a convenient list of many of the car’s new features, including moisture control sensors in the wheel arches to adjust for slippy conditions, the wider front track, longer wheelbase, a new driver interface, and whatever else some Porsche representative was likely desperately signing to Mark from behind camera. Anyway, there’s the new 911, before you’re supposed to see it, maybe? Definitely feels like this video was intentionally released. I don’t know. We’ll learn more about the car tomorrow.